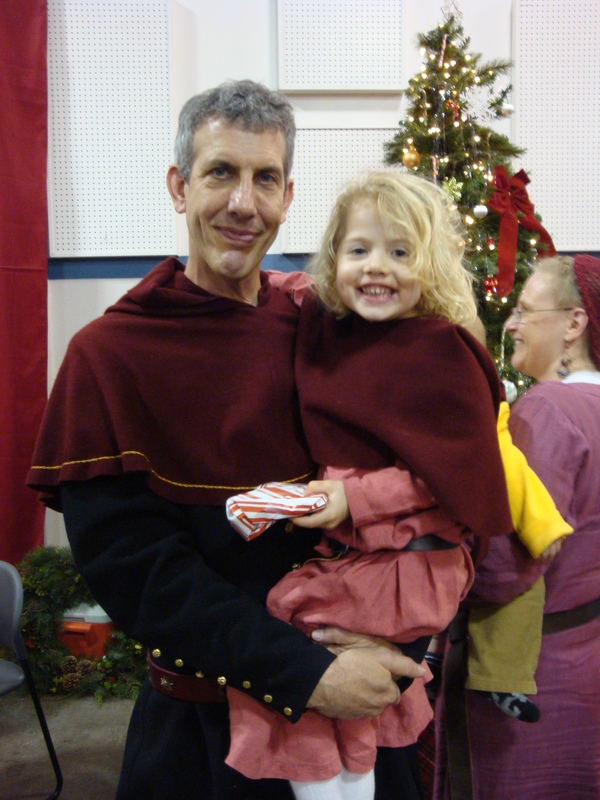 This year our entire family attended the combined Stromgard and Three Mountains Yule Feast on December 19th. A few days before the event, Gerald decided that a red hood would look quite nice with his new black cotehardie. This seemed like a workable project, as Gerald likes hoods that do not have gores inserted, making them much quicker to construct. 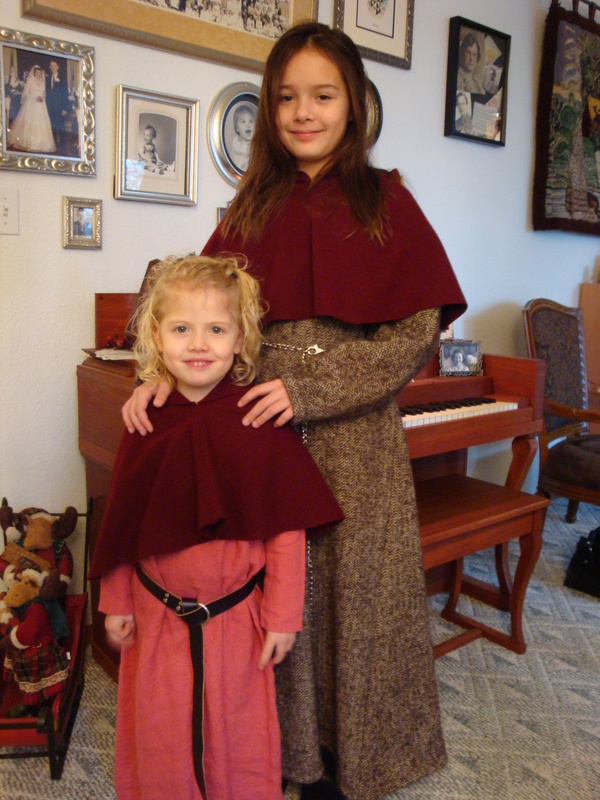 After getting started on Gerald’s hood, I realized that the girls really needed the extra warmth and finishing addition to their Yule outfits. Of course, this meant that they would require new red wool hoods to match their father’s. 🙂 On the first night, I washed and dried the wool one last time and then cut out all three hoods. Then I sewed Gerald’s together – partly by machine and partly by hand. On the second night I sewed the girls’ hoods together and began the embroidered stripe on Gerald’s garment. We were all warm and toasty for the Yule this year. This entry was posted in Garb, Yule Feast. Bookmark the permalink.